Beautiful home on 4 acres. This home features 3 bedrooms, each with ample closets. 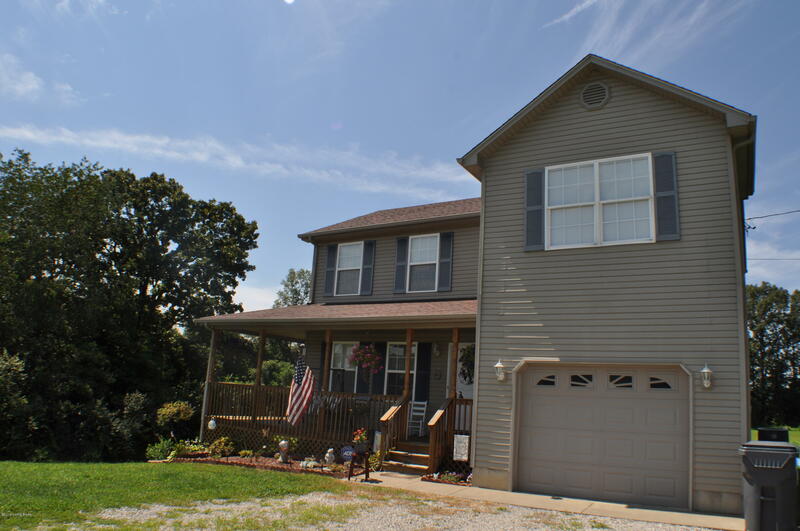 Home has 2 1/2 baths, finished basement with an office that includes a closet, updated flooring throughout the home, stainless steel appliances and LOOK at the covered wrap around porch this home offers! This home is a must see! Set up your showing quick! This home is VA Assumable! © 2019 Greater Louisville Association of Realtors. All rights reserved. Information deemed to be reliable but not guaranteed. The data relating to real estate for sale on this website comes in part from the Internet Data Exchange Program of the Greater Louisville Association of Realtors. Real estate listings held by brokerage firms other than Gold Star Realty are marked with the Internet Data Exchange logo or the Internet Data Exchange thumbnail logo and detailed information about them includes the name of the listing Broker. Listing broker has attempted to offer accurate data, but buyers are advised to confirm all items. Information last updated on 2019-04-24.